The panel works in Story Editor and normal layout modes, and if you add it to your dock of panels as part of a custom workspace, it’s easy to pop in and out of. You can also press F8 to access it at any time. However, the Info panel cannot provide a word count for an entire document. For that, you’ll need to download and install a few scripts, designed by Marijan Tompa. The first is count-text. It counts all the words in your story. 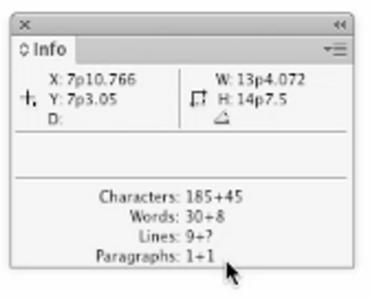 The second, called count-all-text, counts all the words in your story, plus the ones hidden in footnotes and tables. 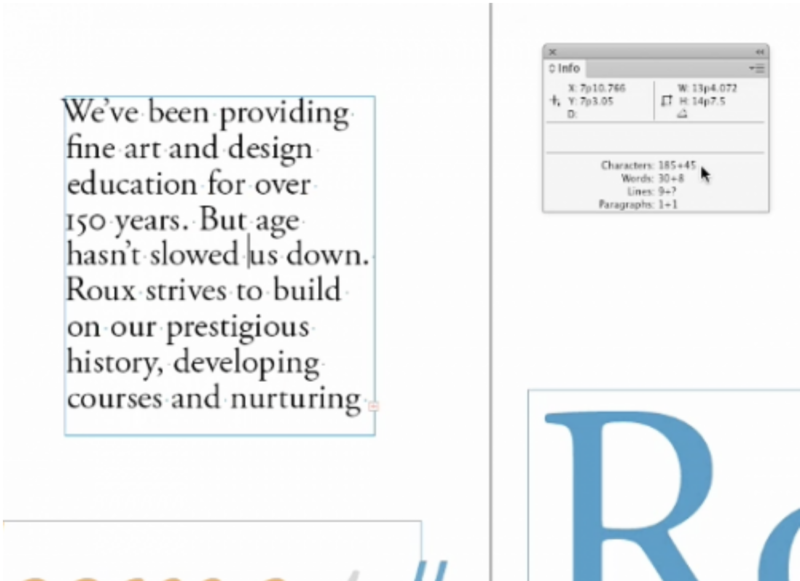 You can get both of these scripts for free at indesignsecrets.com/downloads. Simply enter the script name and add the .zip extension (count-text.zip or count-all-text.zip) and hit Return or Enter. After the ZIP file downloads, uncompress it and add it to your Scripts folder. Enjoy this technique? Come back for another free video in two weeks, when Anne-Marie shares the tricks she keeps up her sleeve for aligning objects. Interested in more? 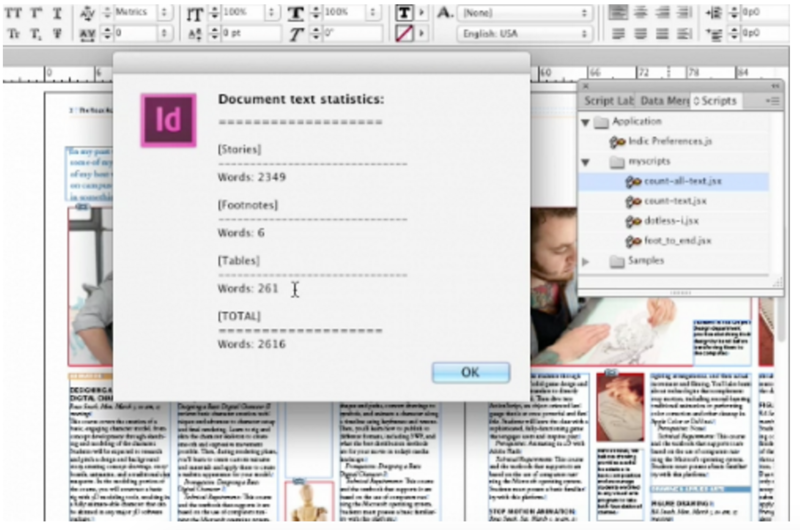 Check out all of our InDesign courses at Lynda.com.